The best way to get to know a community is by scheduling a tour. See the facilities, meet the staff and residents, and get a feel first hand what it's like to live at Maxim Healthcare Williamsport, PA Home Care. Maxim Healthcare Services has more than 20 years of providing solutions that improve health and quality of life for those in need of in-home health services. If your loved one is recovering from surgery, illness, or managing a disease, understanding the steps that need to be taken to prepare for his or her care can be overwhelming. We understand the difficulties that a family faces when making the decision to use outside help. At Maxim, our clients and their loved ones are an extension of our family. The Maxim family. That's why we are proud to provide in-home nursing care, rehabilitation, assistance with daily living, companion care, and support services to help meet your loved one's needs. 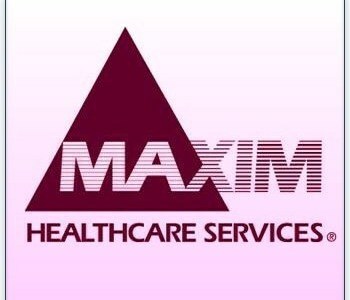 With hundreds of office locations nationwide, our commitment to customer service, improving patient care, and staffing experienced healthcare professionals has made Maxim one of the most dependable healthcare companies in the industry.